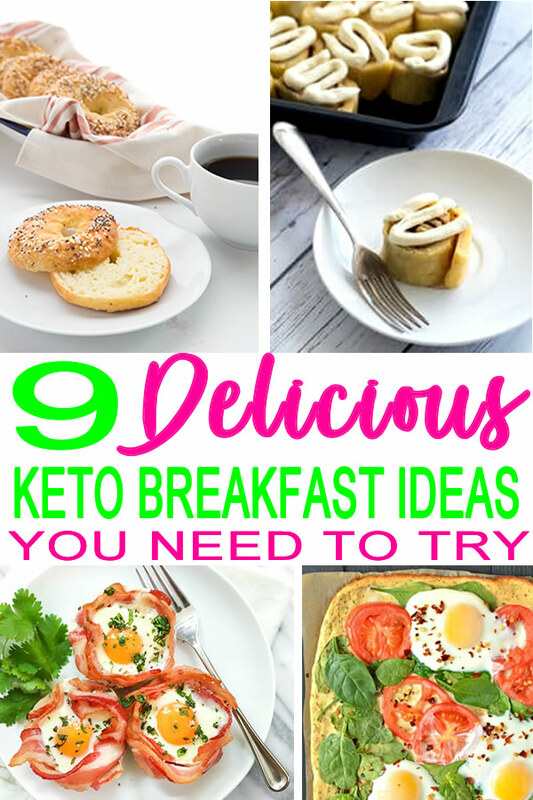 Here are few keto breakfast ideas handpicked by me for you! Ok…you can’t get an easier than this! Using a muffin tin layer bacon on the bottom followed by an egg then bake in oven until fully cooked. Yummy egg and bacon keto breakfast. Love waffles but can’t find an easy and delicious recipe? Look no further here is the perfect low carb waffle for the keto diet. 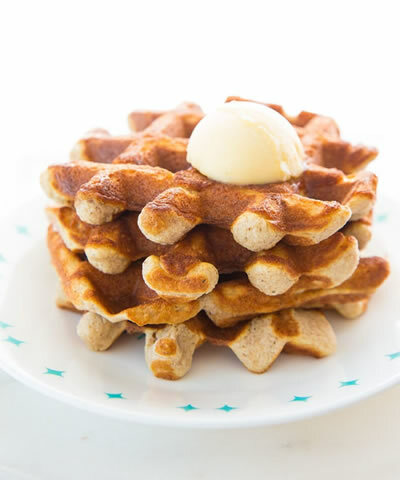 Sweet and yummy cinnamon waffles. You will need a waffle iron (I use have this one and love it). These have 4g net carbs and 11g of protein. 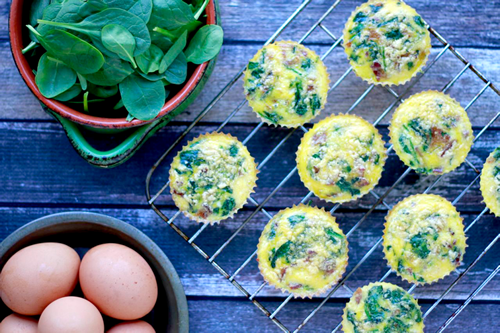 Grab and go bacon and egg muffins. 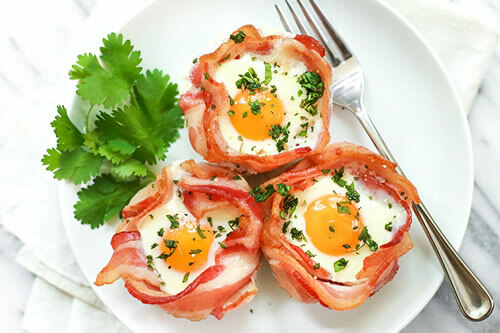 Yes make this super simple recipe in muffin tins so that you have a grab and go keto breakfast. 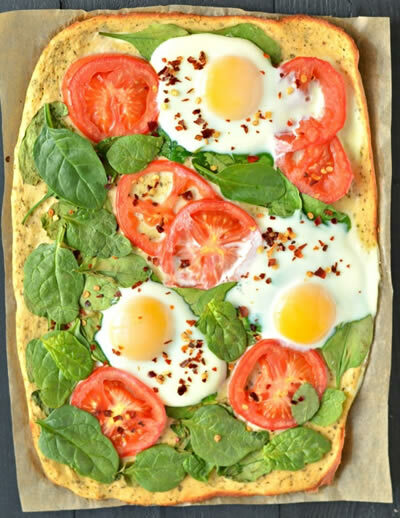 Pizza for breakfast and low carb….count me in! 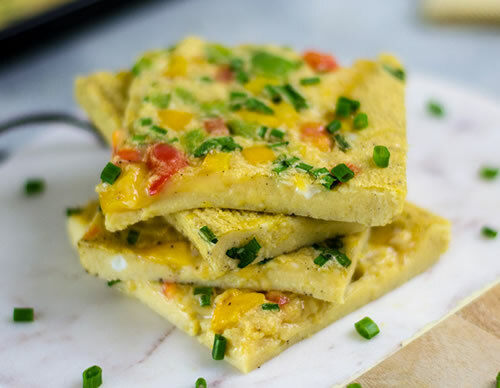 Super easy keto breakfast that uses coconut flour (my favorite coconut flour) for the crust. Top with eggs and spinach along with some olive oil. 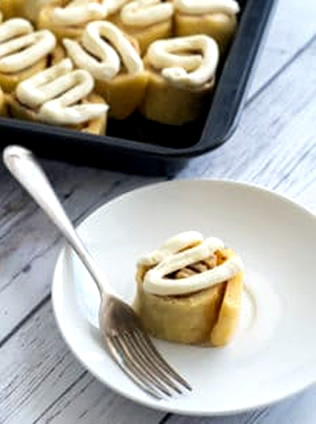 I use this baking sheet to make this – so delicious! This is a great breakfast to meal prep. Only 4 ingredients and 1 baking sheet (this is my favorite baking sheet to make these in) – how simple is that. Cut into squares and have breakfast for the week. Tasting a smoothie for breakfast? Try thin creamy low carb smoothie. Made with coconut milk and avacado. 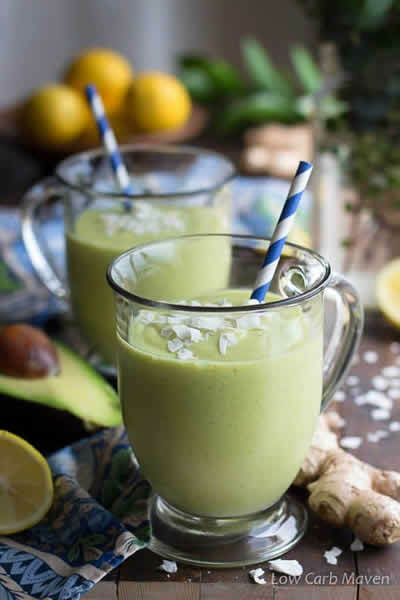 Good fats and no sugar smoothie which is the best for the ketogenic diet. 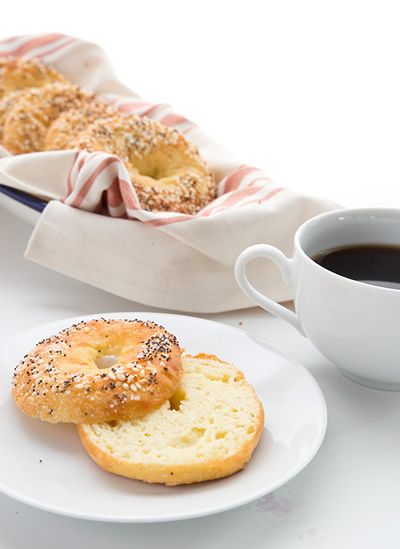 Start your day with a keto bagel. Only 5 ingredients you make these in no time at all. Delicious low carb and nut free bagels. You can bake these on a large baking sheet with a silicone liner – so easy. 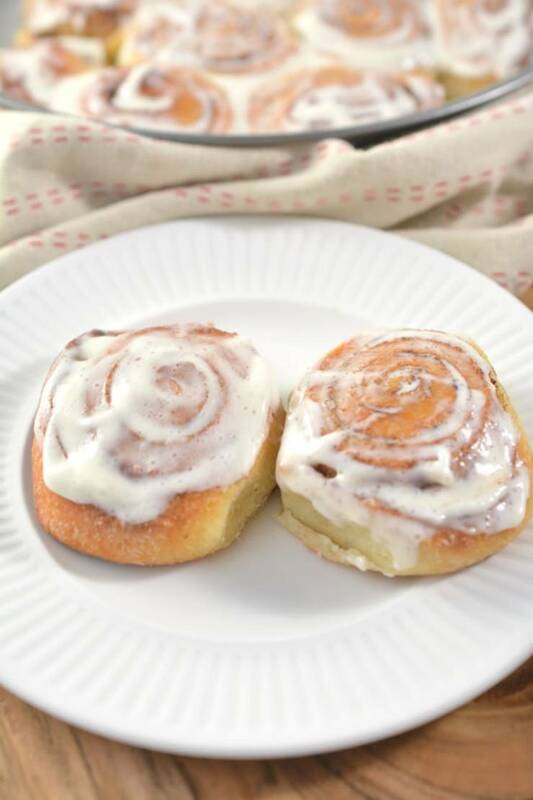 Make ahead and freeze for a future quick breakfast as you are headed out the door. Throw this easy to make keto breakfast muffin in the microwave and have breakfast in 1 minute. 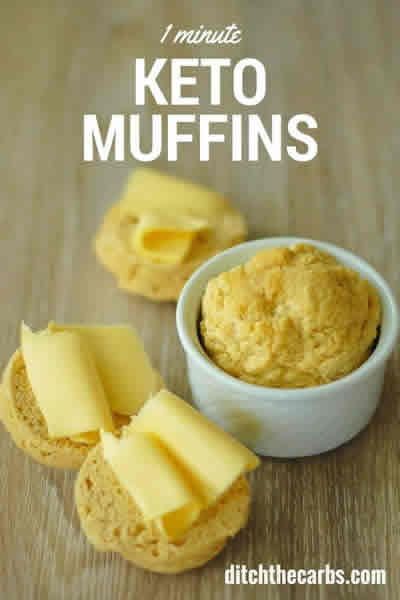 Great 1 minute keto recipe. Only 4 ingredients. Make this in a ramekin dish (I found the are best to make these in) and you will have a yummy breakfast. Ready to get in the kitchen and start cooking or meal prepping? The thing I love about keto diet / keto lifestyle is you don’t have to give up your favorite things to eat a low carb breakfast. You can still have pancakes, muffins, waffles, smoothie, shakes, biscuits, casserole, quiche, breakfast sandwich and more. You can find vegan ideas, dairy free and no egg ideas too. You are not limited to all the amazing breakfast food you can eat on keto. These are some of my favorite breakfast meals on keto. These meals are great for beginners as well as people who have done low carb diet for awhile. If you still need more ideas or inspiration you can check out Pinterest. Leave me a comment and let me know what your favorite meal is for breakfast. My favorite keto breakfast is egg burrito / egg omelette. Until next time enjoy these homemade keto breakfast recipe ideas.